Here’s the chicken recipe that brought about that recent potato salad. They were a good combo, I thought! 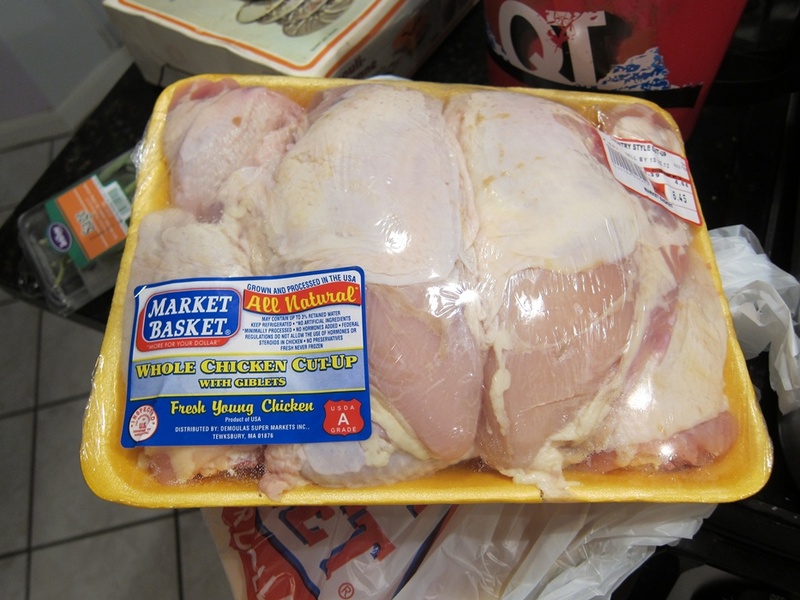 I had been thinking that cutting chickens seemed like too much effort, and I would just get a bunch of chicken breasts, but it turns out they sell chickens, cut into pieces. How convenient! 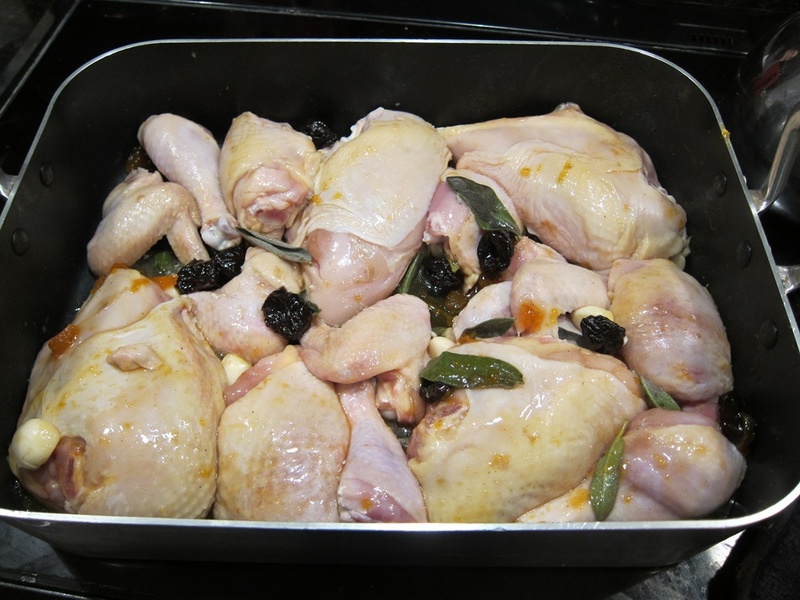 Place the chicken pieces in a large roasting pan skin side up. If you don’t have one huge enough to hold it all, use two 9X13″ dishes. Stir together the preserves and vinegar in a bowl and spread over the chicken. Sprinkle the remaining ingredients around the pan. I had forgotten the preserves and asked a friend to grab some on her way over, so this chicken’d already cooked a little bit when I put the preserve mixture on it. 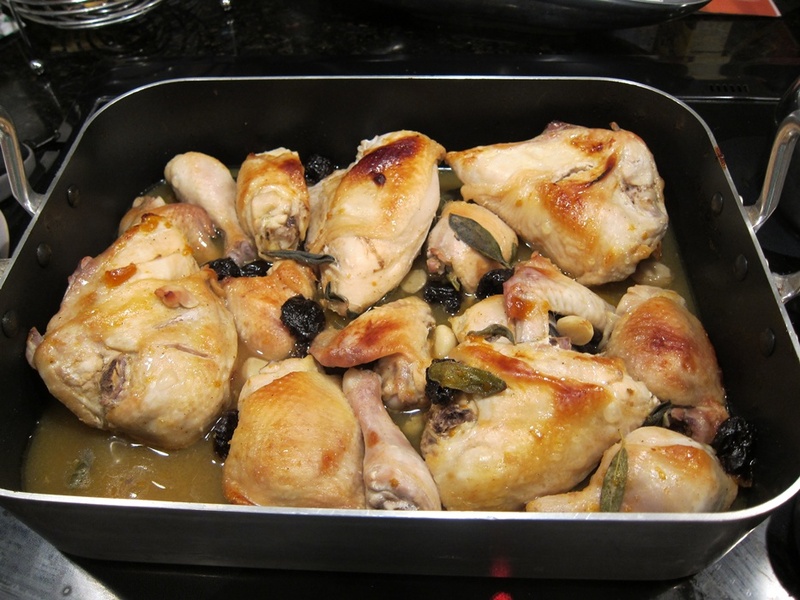 Roast until the tops of the chicken pieces are browned, and the juices are clear if you stab the thicker pieces. The recipe I was following said 35-40 minutes, but I found it took closer to 70! Just keep checking, and don’t start eating until any pink in the center of the chicken is gone. Part of this delicious meal! I find it pretty funny that prunes have been sort of rebranded as dried plums. Dried Plums: Not just for grandparents anymore! Place the chicken pieces in a large roasting pan skin side up. 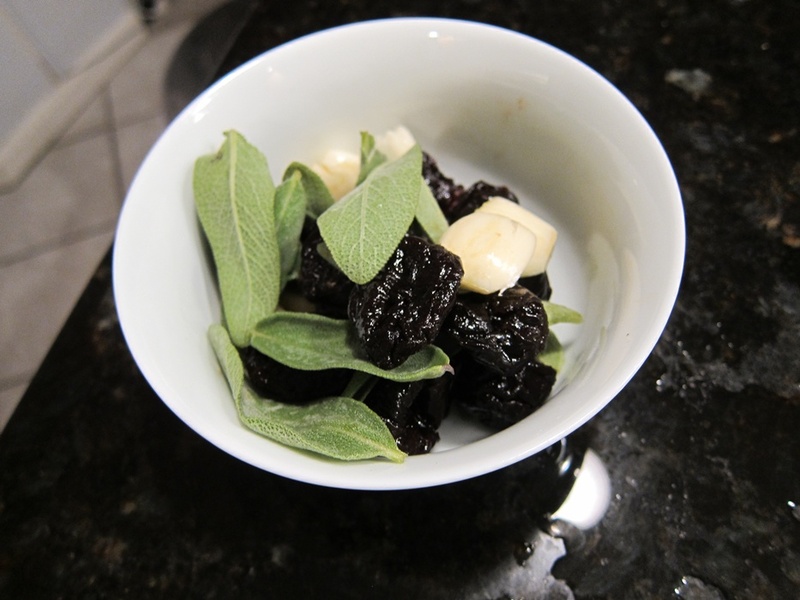 Stir together the preserves and vinegar in a bowl and spread over the chicken. Sprinkle the remaining ingredients around the pan. 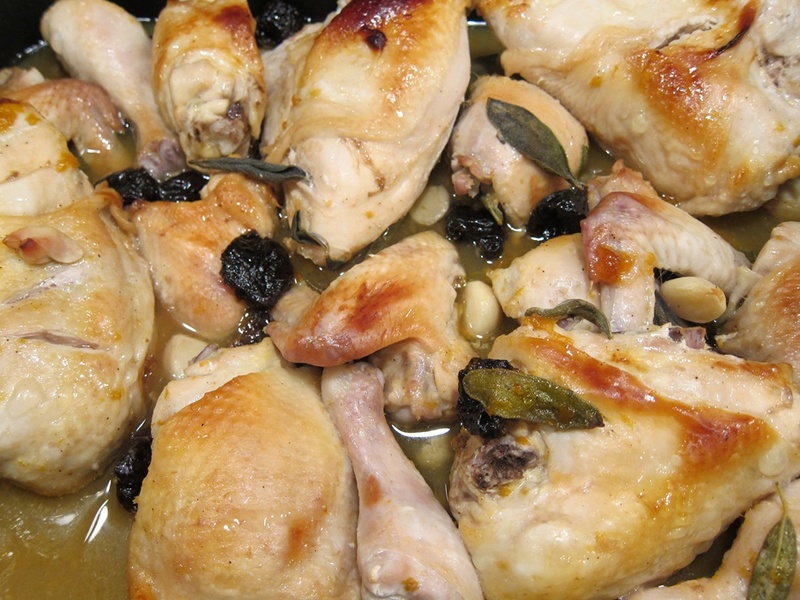 Roast until the tops of the chicken pieces are browned, and the juices run clear. Start checking around 35 minutes, but expect more like an hour. 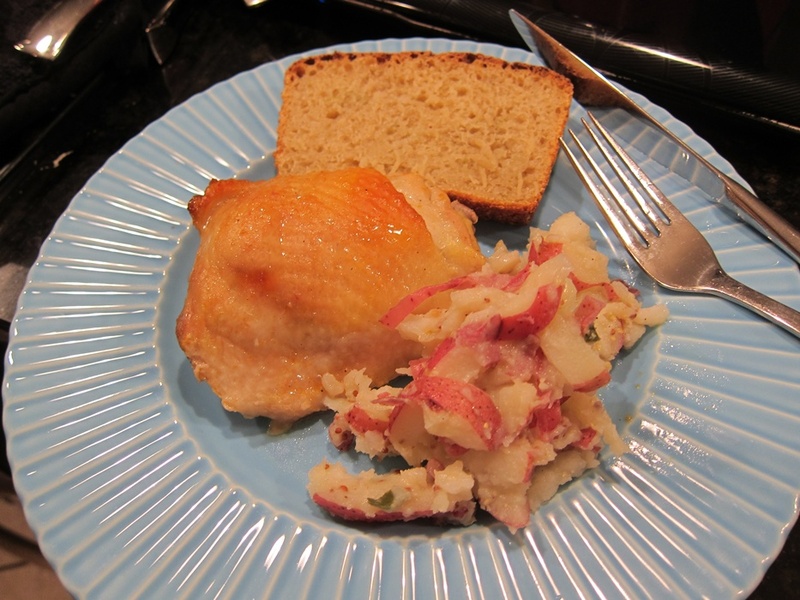 This entry was posted in Dinner and tagged apricots, Chicken, plums, preserves, prunes. Bookmark the permalink.